4) Our new X5 is also a world premiere. 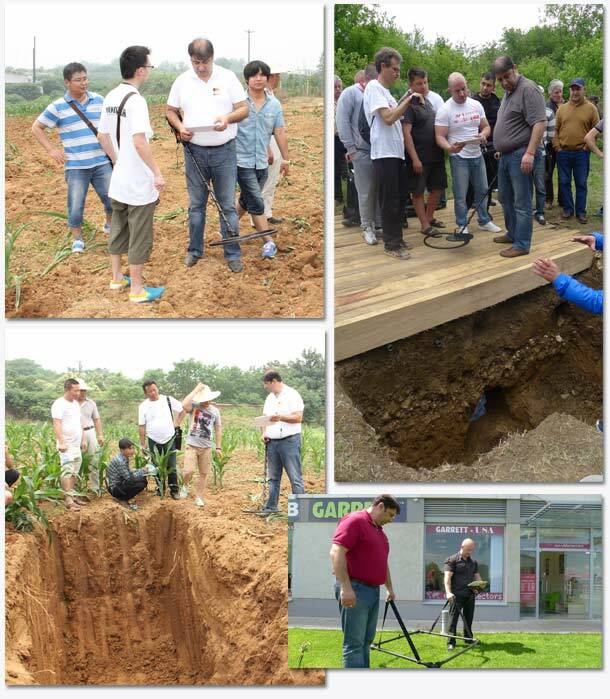 It includes in one unit one resistivity meter, one ground radar as well as a professional pulse induction metal detector (Ground Exper). No other device brings you so many features ! We have made demos and field tests of our products on every continent in the last 2 years. Everytime it’s been a tremendous success. We now have a world network of dealers. In 2014, we come with new versions of our Ground Exper that features Wireless connectivity and manual discrimination. We also launch new products such as 3D Stealth Scanner. We’re always working on new devices and projects, and we offer upgrades and better versions of our products such as Ground Exper that has gone better and better in the last 2 years.